1991 Corvettes got a styling upgrade. The squared off bumper and turn signal area of 1984 to 1990 'vettes (above) was more rounded (below) for 1991 through 1996. Front fender vents were updated for 1991 through 1994 to a horizontal four slot design, replacing the two vertical vents found in 1984 through 1990 Corvettes. 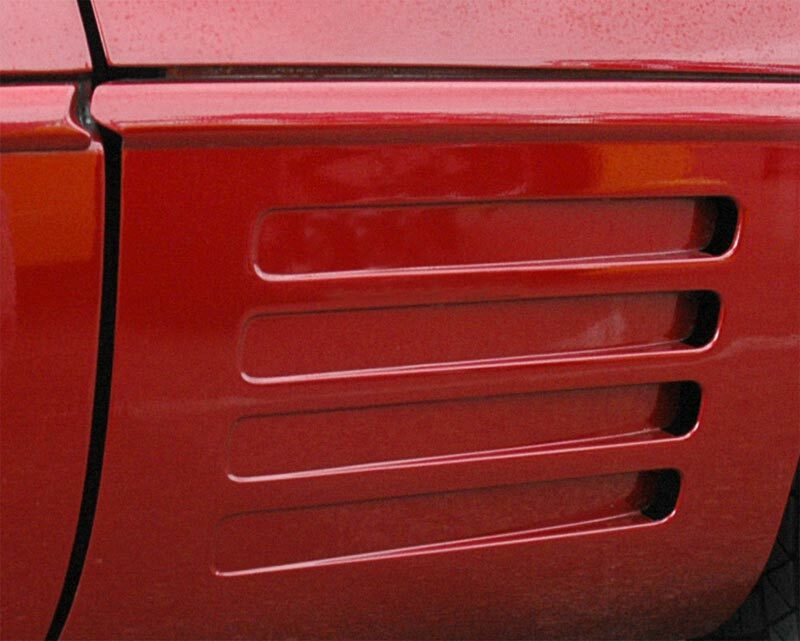 The body side moulding was painted and widened for 1991 through 1996. 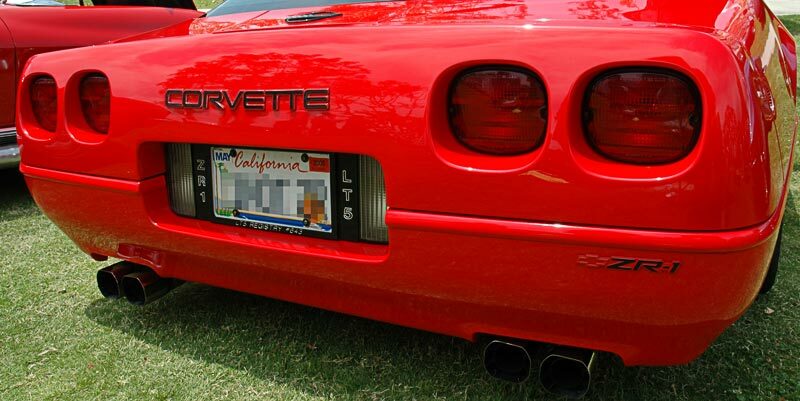 The convex rear bumper on the ZR-1 proved popular and was incorporated in the 1991 through 1996 Corvettes. 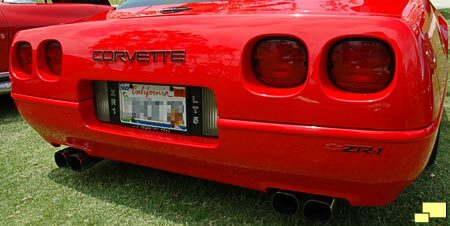 The ZR-1 bumper (below) could be distinguished by the raised lettering and the the lack of a center brake light which was roof mounted. 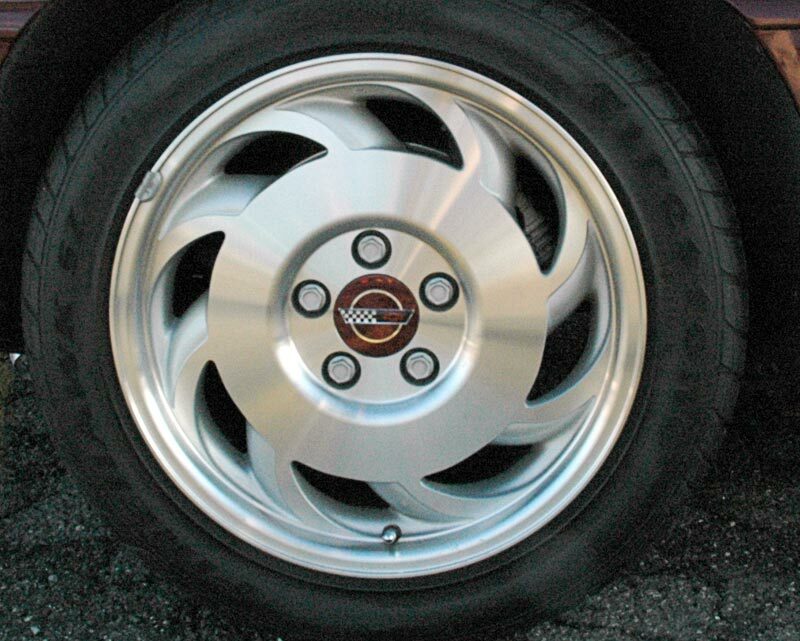 Sawblade wheel, as they were affectionately known, were standard equipment in 1991 through 1996 Corvettes. For 1991 and '92 they were painted. 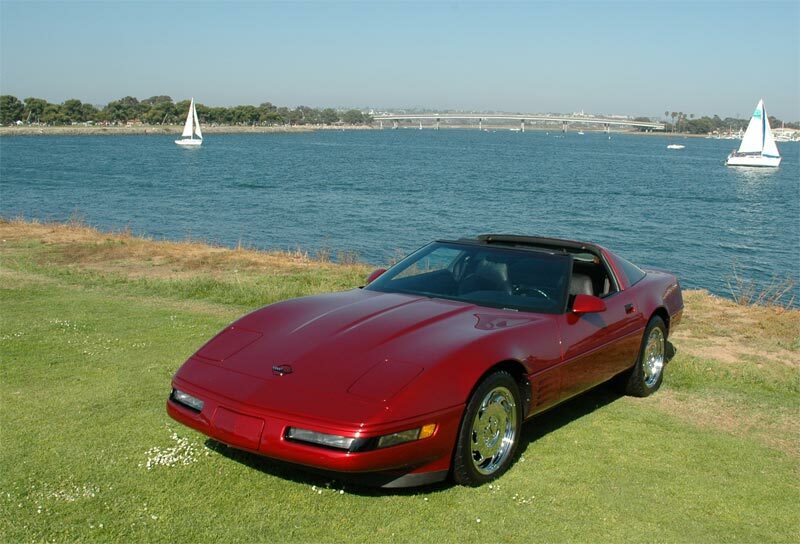 1992 Corvette exterior was identical to 1991. The big news was under the hood with the introduction of the LT1 engine.